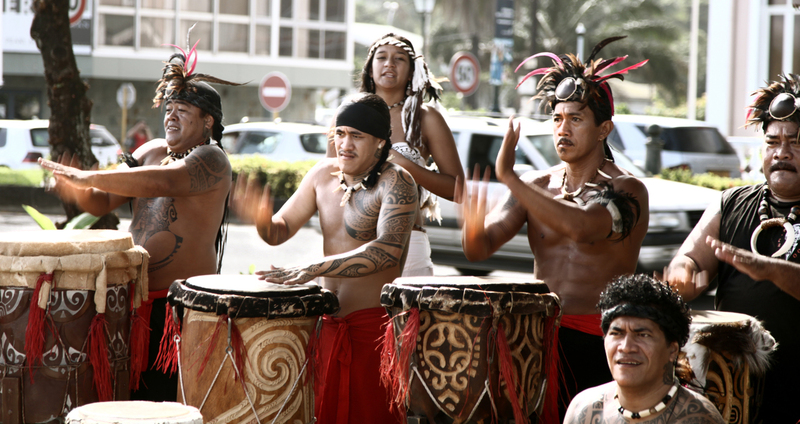 The Polynesian tattoo still represents the visual expression of the ancient culture of the local populations. The symbol drawn is made to be shown mainly by men because it represents a social status as well as an element of body decoration. Female tattoos were less extensive and only made in some parts of the body. 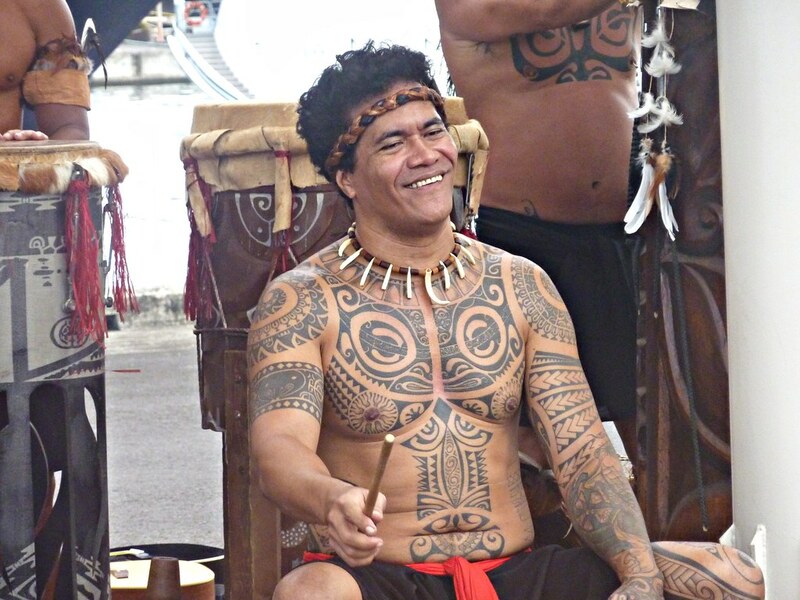 In the tribes the tattoo artist was a specialist who enjoyed great prestige, the needles to leave their mark were in bone, rudimentary equipment that also used natural coloring substances: mixtures of soot obtained from cooking fresh fruit and water. The preferred color is black. The typical tattoos are made on the body and also on the face, so that a design can always be completed with other geometric or symbolic patterns. The most common representations are geometric designs such as triangles (with an irregular arrangement characterizing the value of warriors), but also symbols related to the world of nature, shark teeth, stylization of fish and other animals. For women, the decoration includes a band around the arms and legs. The practice of tattoos continues among young people to affirm their cultural identity. 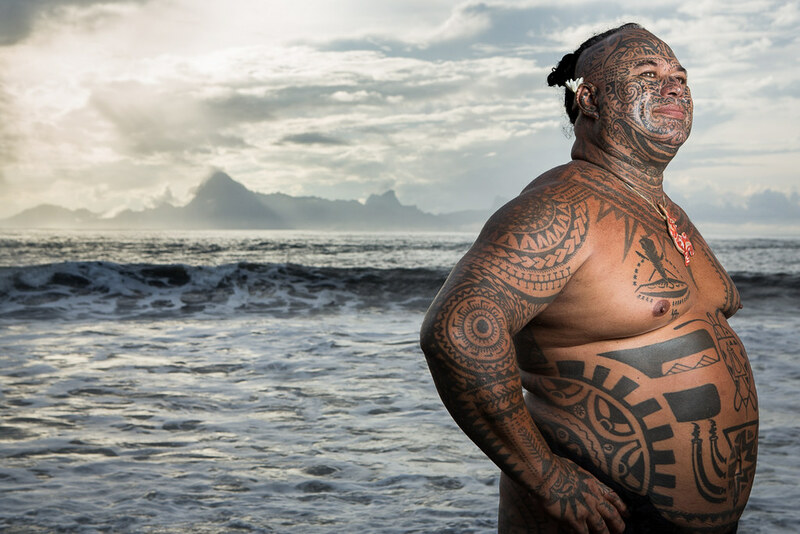 In recent years, Tahiti and its Islands have seen a generation of particularly gifted tattoo artists grow, taking part in fairs and events all over the world, and Tattoonesia is held in November in Tahiti.